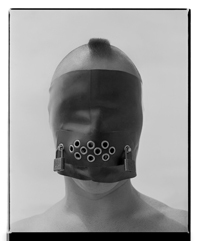 Many thankx to Haus der Kunst for allowing me to publish the photographs in the posting. Please click on the photographs for a larger version of the image. “Complex, vivid, evocative, and dramatic, “Rise and Fall of Apartheid: Photography and the Bureaucracy of Everyday Life” represents the most comprehensive exhibition of its kind, attempting to formulate an understanding of apartheid’s legacy in South Africa through visual records. These images responded to the procedures and processes of the apartheid state from its beginning in 1948 to the first non-racial democratic elections that attended its demise in 1994. Featuring more than 600 documentary photographs, artworks, films, newsreel footage, books, magazines, and assorted archival documents, the exhibition will fill more than 2,000 square meters of the East Wing of Haus der Kunst. Starting in the entrance gallery (where two film clips are juxtaposed; one from 1948 showing the victorious Afrikaner National Party’s celebration rally, and another of President F.W. De Klerk in February 1990 announcing Nelson Mandela’s release from prison) the exhibition offers an absorbing exploration of one of the twentieth century’s most contentious historical eras. The exhibition highlights the different strategies adopted by photographers and artists; from social documentary to reportage, photo essays to artistic appropriation of press and archival material. 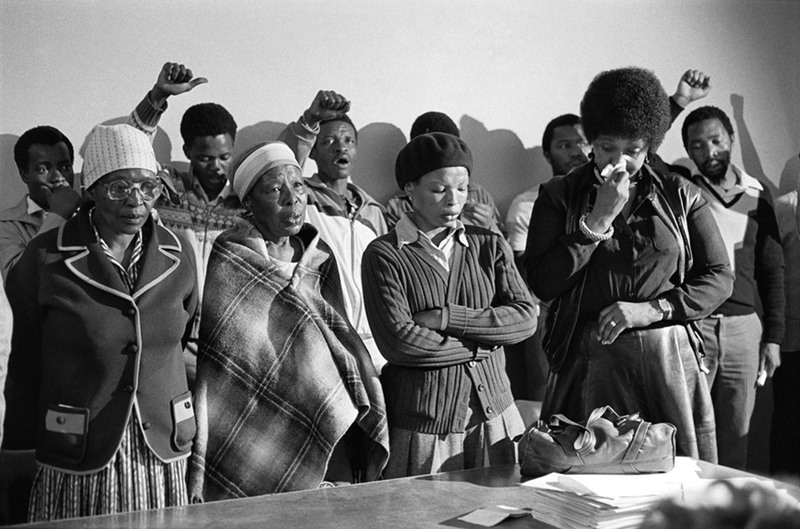 Through these polysemic images, the exhibition embarks on a tour of how photographers and artists think with pictures, the questions these images pose, and the issues of social justice, resistance, civil rights and the actions of opposition to apartheid raise. 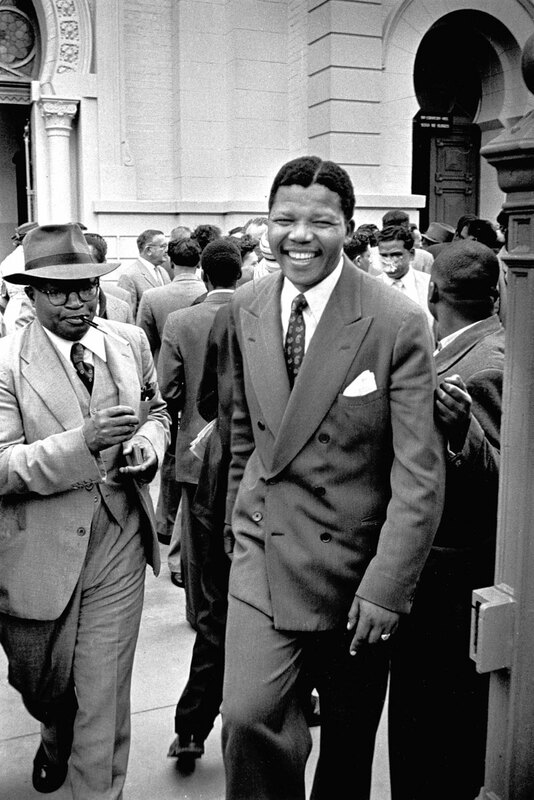 In so doing, “The Rise and Fall of Apartheid” brings together many iconic photographs that have rarely been shown before, to propose a fresh historical overview of the photographic and artistic responses to apartheid. 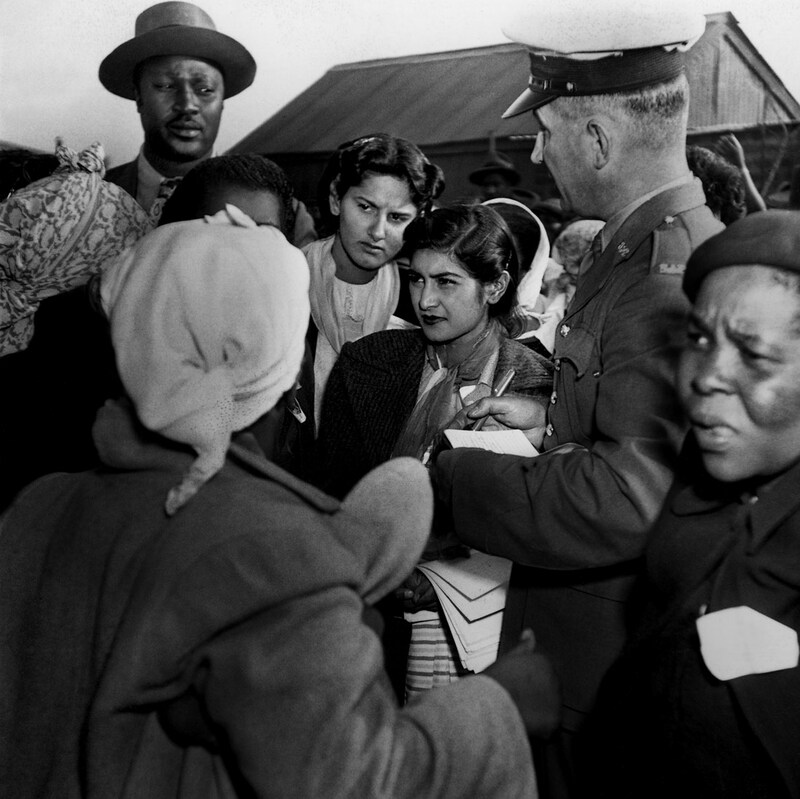 A fundamental argument of the exhibition is that the rise of the Afrikaner National Party to political power and its introduction of apartheid as the legal foundation of governance in 1948 changed the country’s pictorial perception from a “relatively benign colonial space based on racial segregation to a highly contested space in which the majority of the population struggled for equality, democratic representation, and civil rights” (Okwui Enwezor). 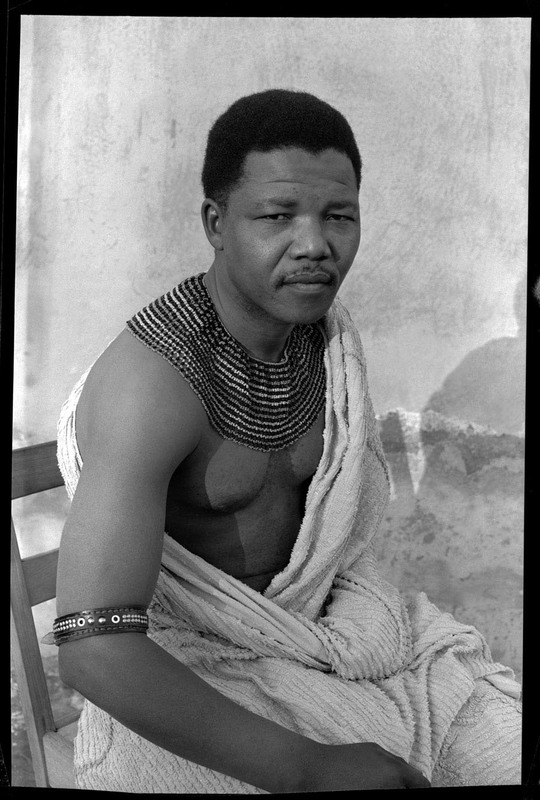 From the moment apartheid was introduced, photographers in South Africa were immediately aware of how these changes taking place in politics and society accordingly affected photography’s visual language: The medium was transformed from a purely anthropological tool into a social instrument. No one photographed the struggle against apartheid better, more critically, and incisively than South African photographers. For that reason, with the notable exception of a few Western photographers and artists, including Ian Berry, Dan Weiner, Margaret Bourke-White, Hans Haacke, Adrian Piper, and others, the works in the exhibition are overwhelmingly produced by South African photographers. Resisting the easy dichotomy of victims and oppressors, the photographers’ images present the reading of an evolving dynamic of repression and resistance. Ranging in approach between “engaged” photography of photo essays to the “struggle” photography of social documentary which was aligned with activism, to photojournalistic reportage, the photographers did not only show African citizens as victims, but more importantly as agents of their own emancipation. Included in the exhibition are seminal works by Leon Levson, Eli Weinberg, David Goldblatt and members of “Drum” magazine, such as Peter Magubane, Jürgen Schadeberg, Alf Kumalo, Bob Gosani, G.R. 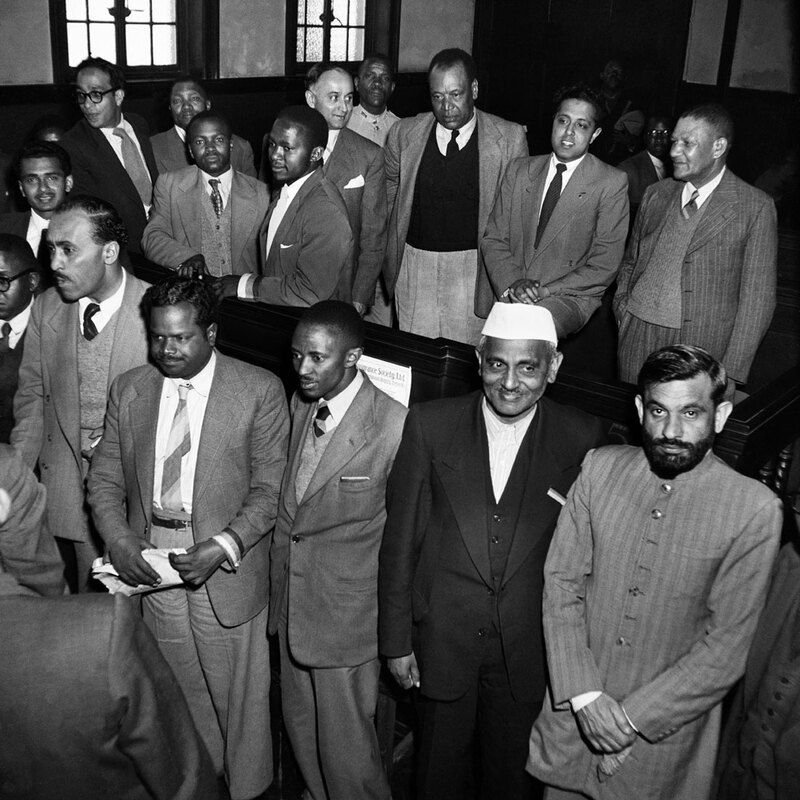 Naidoo, and others in the 1950s. Also represented are the investigative street photography of Ernest Cole and George Hallett in the 1960s, the reportage of Sam Nzima, Noel Watson, and protest images of the Black Consciousness movement, and student marches in the 1970s to those of the Afrapix Collective in the 1980s, as well as reportages by the members of the so-called Bang Bang Club in the 1990s. The exhibition concludes with works by a younger generation of South African photographers, such as Sabelo Mlangeni and Thabiso Sekgale, and the collective Center for Historical Reenactments, whose projects offer subtle reappraisals of the after effects of apartheid still felt today. 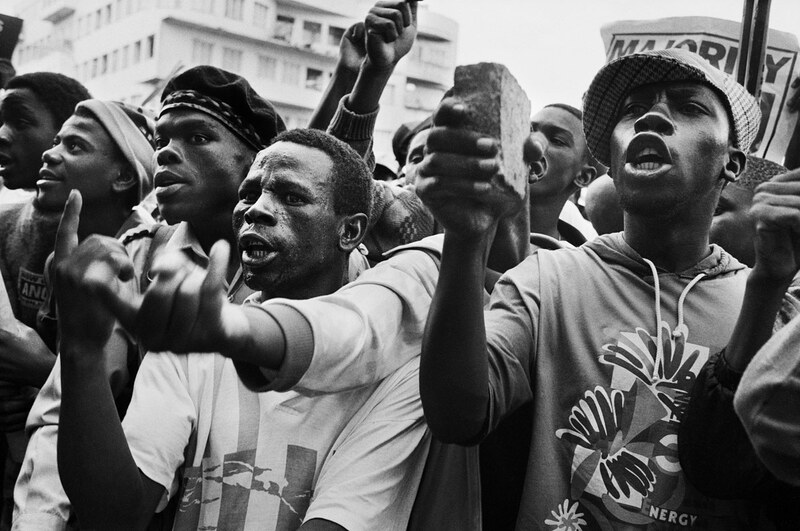 These South African photographers represented a clear political belief. 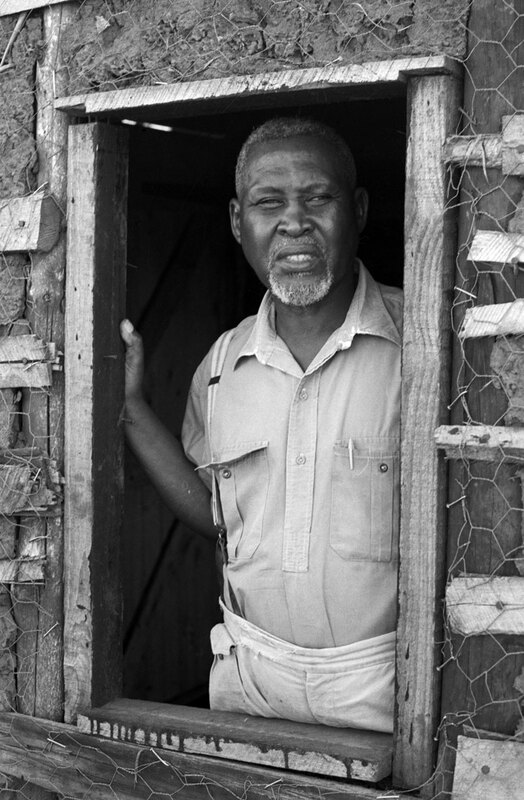 They were opponents of the apartheid regime, and they employed photography as an instrument to overcome it. The independent photo agency Afrapix, founded in 1982 by Omar Badsha and Paul Weinberg, saw itself as a group of “cultural workers”. They believed political convictions came first, and that photography, like writing or acting, was part of the anti-apartheid movement. This attitude was supported by photographers such as Peter McKenzie, who – at a cultural conference organized by the ANC (African National Congress) in Gabarone, Botswana in 1982 – argued that the work of cultural producers is necessarily part of the struggle against apartheid. McKenzie’s argument stood in sharp contrast to that of David Goldblatt, who had the opinion that photographers should report on events with as much inner distance as they can muster. On the other end of the spectrum, the so-called “struggle” or “frontline photography” is characterized by immediacy, giving the impression of being in the middle of the action. “If you want a picture, you get that picture, under all circumstances” was the leitmotif of one of the leading figures, Peter Magubane. The photographs’ subjects are different historical events. 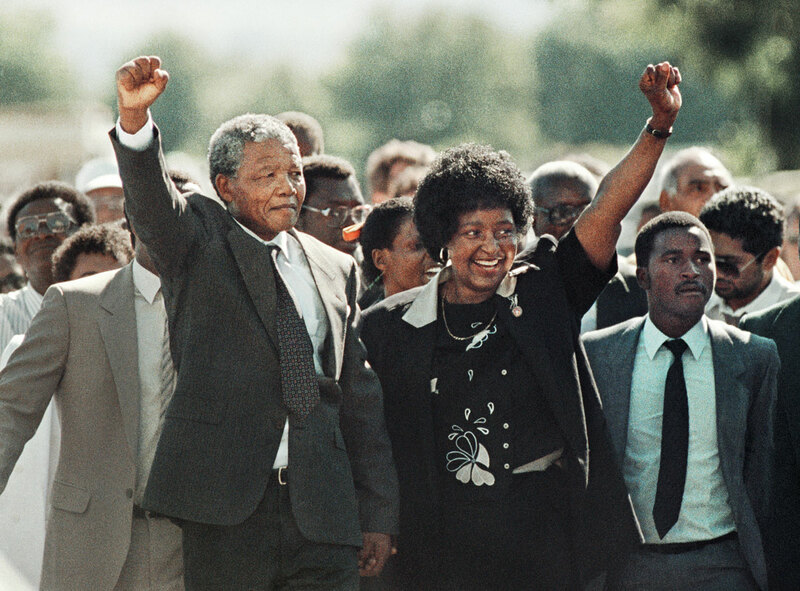 These include the “Treason Trial” of 1956-61, which ended with the acquittal of 156 anti-apartheid activists, including Nelson Mandela; the Sharpeville massacre of 1960, in which police shot 69 demonstrators dead; Mandela’s release in 1990 after 27 years in prison; and the civil war between opposing political factions during the 1994 election. Yet this exhibition is not a history of apartheid itself. Instead it aims to critically interrogate the normative symbols and signs of the photographic and visual responses to apartheid. For example, ritualized gestures were also part of the apartheid imagery. The “thumbs up” as a sign of solidarity among activists belonged to the movement’s nonviolent start when civil disobedience and strikes were still regarded as effective agents. After the Sharpeville massacre of 1960, the resistance became militarized. The cherished “thumbs up” was transformed into the upraised fist, the general symbol of black power. 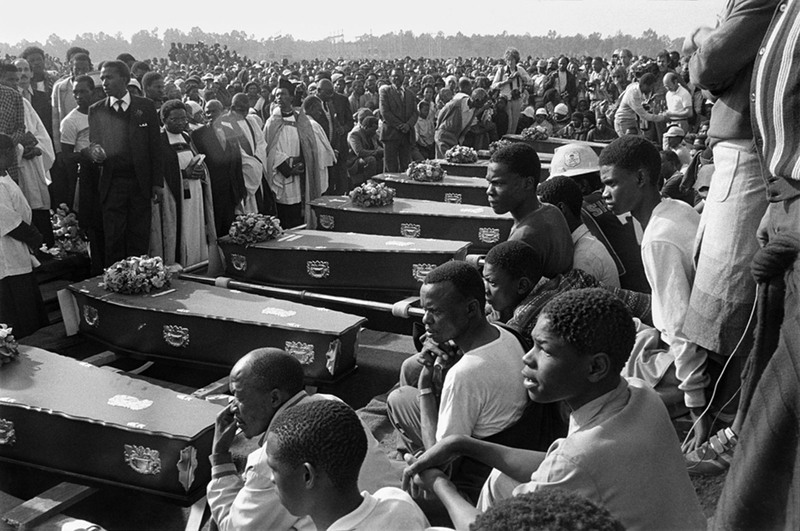 Since the burial of the Sharpeville massacre’s victims, black South Africans expressed their sense of community and identity at funerals. Their public mourning thus became a ritualized form of mass mobilization and defiance. From the ordinary and mundane to the bureaucratic and institutional, the corrosive effects of the apartheid system on everyday life are explored in the multiplicity of public signage that drew demarcating lines of segregation between whites, Africans, and non-Europeans. For example, Ernest Cole engaged in a sustained study of apartheid signage at train stations, banks, buses, taxi ranks, and throughout the streets of cities like Johannesburg and Pretoria in the early to mid-1960s. 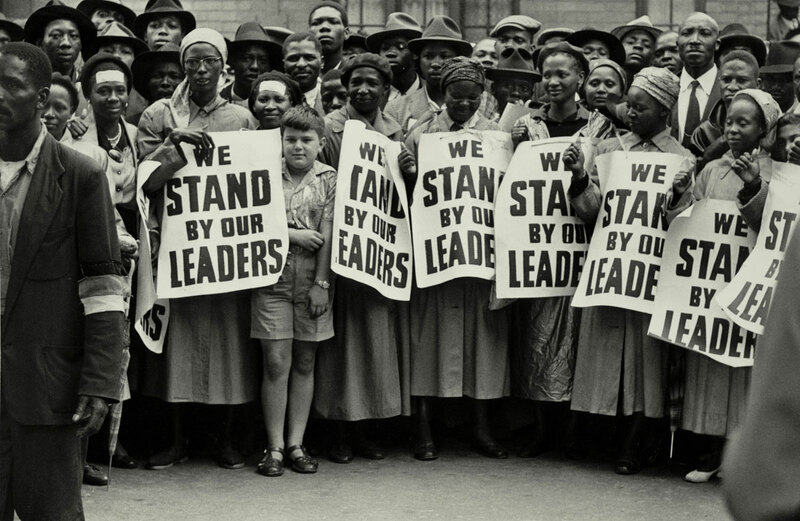 Another exemplary image is a photo from 1956 taken by Peter Magubane. It draws attention to the fact that racial segregation restricted movement in both private and public space. The image shows a young white girl sitting on a bench with the inscription “Europeans only” as her black nanny strokes her neck, but must do so from the back bench. However, the everyday was not limited to the humiliations of policed segregation. “Drum” magazine, one of the most important media outlets for African social life, combined the gritty realism of reportage and the fantasy of normality in the self-constructions of non-European dandies, beauty queens, and the exuberance of township life. Its pages offered images of entertainment, representations of leisure, cultural events, and celebrity portraits. The magazine encompassed a full range of motifs, from relentless documentary photography to fashion shoots, dance revues, and concerts. Through the magazine, photographs found an audience that was politically sensitive and attentive; it also gave South African photographers the opportunity to exchange ideas with colleagues from other African countries, India, and Europe for the first time.